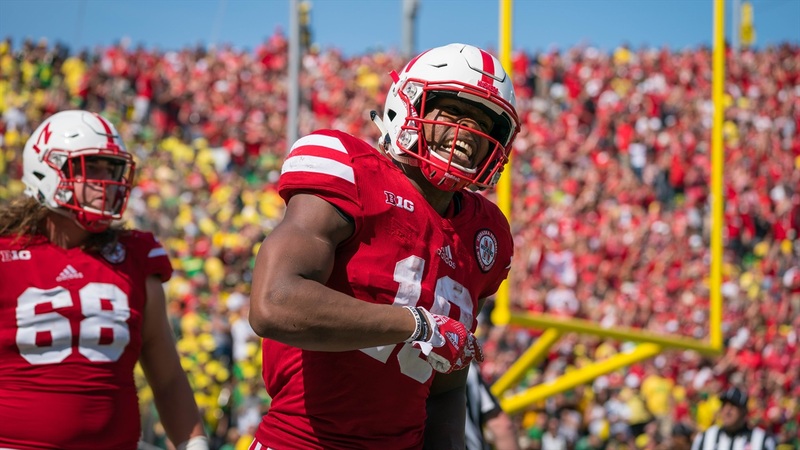 Starting running back Tre Bryant probably will not play Saturday against the Northern Illinois Huskies, head coach Mike Riley announced Thursday. Riley said junior Mikale Wilbon will start in Bryant's place. Bryant, a sophomore tailback, had 192 yards and a score on 31 carries in the Huskers' season opener against Arkansas State. Against Oregon last week, he carried it 20 times for 107 yards before leaving the game with a knee injury. On Monday, Riley said Bryant didn't suffer a new injury, just a reaggravation of a preexisting condition. Running backs coach Reggie Davis said earlier in the week that Bryant's tests came back negative and he was "good to go" for Saturday, but the team appears to be taking a cautious approach with a budding young player. Davis said if Bryant wasn't available, he was still confident in Wilbon. "I know he’s ready to do it," Davis said. "The guy’s worked hard. He’s one of the strongest guys in our room." Wilbon scored a touchdown against the Ducks on Saturday and finished with eight yards on three carries. Nebraska kicks off against the Huskies at 11 a.m. at Memorial Stadium.